The Fence Line: Building a Wood Fence with Metal Posts? Building a Wood Fence with Metal Posts? Do you know which part of your wood fence is most susceptible to rot and insect damage? If you said the posts, congratulations, you're right. 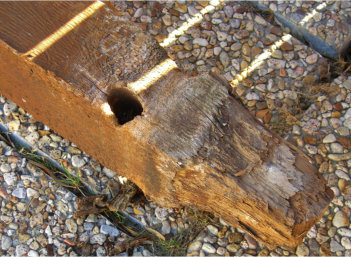 Most wood posts rot from the ground surface down to the concrete plug, which makes perfect sense when you consider the fact that they sit in a dark, damp environment for years. There are certain things you can do to extend the life of your wood posts like using loose gravel for drainage or putting some type of rubber sealant on; but, over time wood fence posts will rot. That's why one of the hot trends in fencing today is attaching steel posts to wood fencing instead of the traditional 4x4's or 6x6's. 2 3/8" galvanized steel posts are much stronger and more durable than treated wood. Plus they won't rot, get insect damage or get damaged by the weed trimmer. Using metal fence brackets, you can install your wood fence with galvanized steel posts to avoid rot and insect damage. 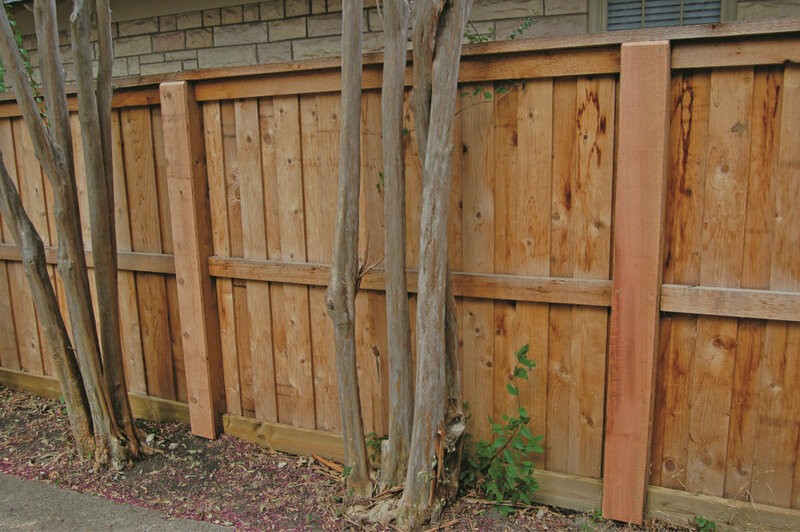 One of the only drawbacks to using steel posts is that it takes away from the natural look of an all wood fence. But, that is easily remedied by building a wood "facade" around the steel post with 2x4's. In fact, the large Oz Post Brackets are designed with extra long tabs which allow you to do exactly that. And since none of your wood facade is below ground, the chances of it rotting are greatly diminished. Build a wooden facade around metal posts to achieve an all wood look. 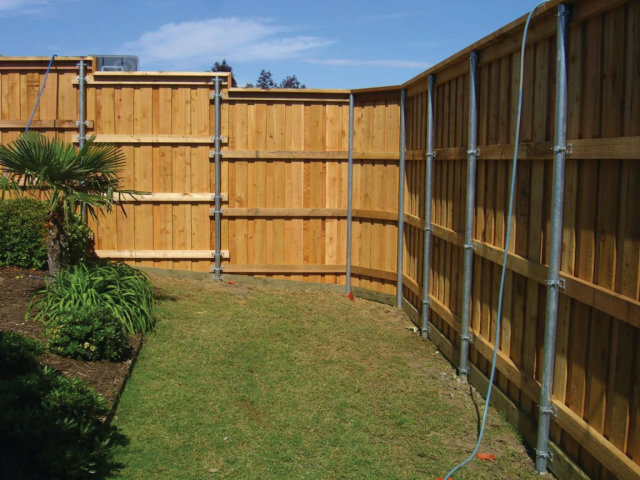 If you want to build a wood fence that lasts, while minimizing your upkeep, consider using steel posts for installation. I want to build a fence around my yard, but I'm scared of the rotting you mentioned, that happens in the damp posts. I'm so glad that you've come up with a hybrid fence, that looks like it is all wood! This way I can have the beautiful wood fence that I've always wanted, and it will last a long time without rotting, because of the metal supports.